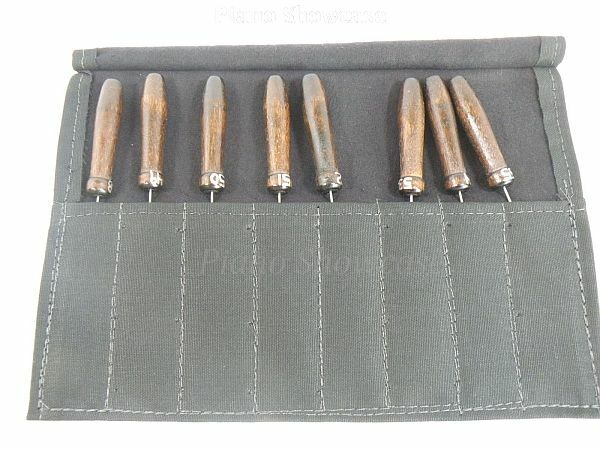 This kit includes 8 wire broaches measuring between .048" to .055" diameter thick by 6" in length. The broach wire is pointed on the end and has a 1/2" long roughened area at the center. The proper sizes broach is inserted thru the bushed flange and, in one operation, the bushing is cut or reamed as well as burnished. Upon request, we will send a copy of a magazine article reprint detailing the Manino approach to re-centering flange bushings.